It’s hard to believe we’ve watched local Southwest Florida home prices rise $100,000 since 2013. Official numbers were just released for November which shows the median home price in SW Florida at $245,000. The average home sale price in November was $317,109. 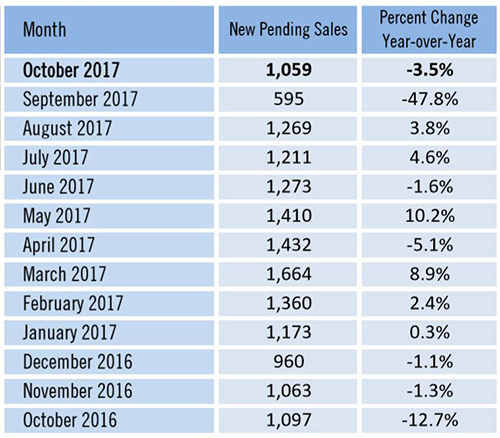 Compare that to 2013 when the median sales price in November was $170,000 and the average was $236,550. That’s not quite $100,000 difference but you only need go back just a few more months and we’re there. What’s caused home prices to increase so much, and will it continue? The past is always easier to explain than the future is to predict, so we’ll start there. Our market over-corrected to the downside so we had lots of room for upside pricing. Our market statistically bottomed in 2009 but not for all price ranges. The upper end took longer to correct. The boom only did one thing. It brought needed housing to SW Florida. Because the boom involved flipping, we didn’t have the end user to sustain the market. It was a False high. The error wasn’t the increased housing the boom brought. It was the speed of which that occurred. Southwest Florida needs more housing. Rents are sky high and prices have been rising. Florida is an expanding market. Immigration leads to need for more housing. And don’t forget Florida is a net migration state winner as well. High tax states like New York, New Jersey, and Illinois are losing residents by the droves. They are leaving high tax, foul weather states and moving to states like Florida, Texas, and Arizona. Notice a trend here? Low taxes, great weather. If all we had was low taxes, we would gain residents. If all we had great weather, we would gain residents. Because we have both, it’s winner, winner chicken dinner for Florida. Texas is seeing transplants from CA. We’re seeing Midwestern and east coast migrations. After Hurricanes Maria and Irma battered Puerto Rico we expect to see more migration from there as well. Going forward this leads us to believe home prices have more to go on the upside. We do not see a downside price risk like we did back in 2005. The difference is end users. We have them now, we didn’t back then. The new tax reform also will help Florida. Local, state, and property taxes deductions are capped at $10,000 under the new law. Florida doesn’t have a state income tax, and many people’s property taxes are below $10,000, so most Floridians will benefit from the full deduction. People in high tax states will not, and this will make Florida look even more attractive. We could see some companies decide to relocate as well. Because the new tax code is favorable to companies, we don’t believe they’ll need to relocate, but some smaller companies could. Each time this occurs it hurts the northern states because they’re not competitive and it helps our state. As more and more people leave those states, it brings an increased tax burden on fewer residents, which further exacerbates the situation. Florida really is sitting in a good position. Hopefully our planners are planning for more schools and better roads, because we’ll need them. It will be interesting to see how fast the new tax code revs up the economy. Some say it’s already started. We think 2018 could be a good year and 2019 could be even better. We’re keeping an eye on interest rates and a few other things, but overall, we see good things for Southwest Florida real estate. 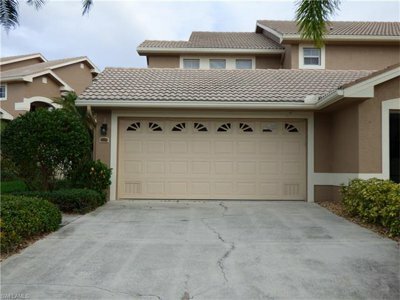 If you’d like to search the MLS like a pro, visit www.LeeCountyOnline.com You’ll see All the homes, and in real-time too. No more missing out on great buys to other buyers. Of course, you can always call us at 239-489-4042. If you’d like to list your home, ask for Sande or Brett Ext 4. We have buyer specialists ready to help you make your move as well. Always call the Ellis Team at Keller Williams Realty for all your real estate needs! This past week I’ve spoken with several real estate agents in Southwest Florida and all have offered varying perspectives on the current state of the real estate market. Two feel the market has stalled and not doing much while others feel the market is on fire for December. We believe Santas sled bringing gifts Southwest Florida. 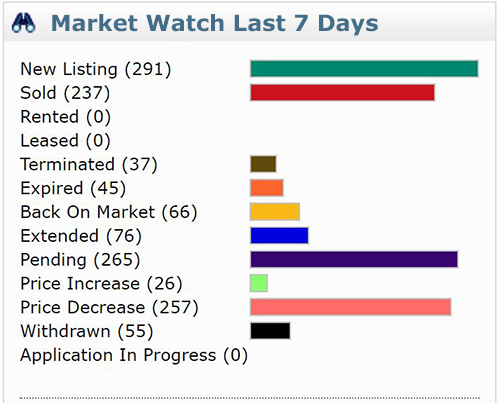 Just looking at the quick Market Watch statistics provided by our local MLS we can see that in the last 7 days 291 new listings came on the market in Lee County and 265 went pending. That sounds like a pretty balanced market. If you look further, you’ll also notice 257 price reductions. It’s possible we placed so many homes under contract because, so many sellers adjusted their price to get in line with the market. Price reductions are not a bad thing. Imagine getting a D or an F on a test and being stuck with that grade. It kind of stinks doesn’t it? We’ve probably all had that one teacher that allowed test re-takes and makeup homework. This teacher was more interested that you eventually learned the material than if you learned it on time the first time when it was due. Price reductions are a lot like test re-takes. You misjudged the market the first time. Your final grade can still be salvaged, if you respond to the teacher’s directions. You must show up and try again. Some say you must try harder. Wanting that A isn’t the same as working for it. An A in a real estate sale is selling at fair market value in the time-frame that works for you. If you overprice the home and it eventually sells for less because it became stale on the market, you don’t get an A. When your home takes longer to sell, and you miss your ideal time-frame because you overpriced the home, you don’t get an A either. You can still get a B though. The sooner you react and make changes, the higher your grade will be. Sellers who price correctly upfront receive higher sales prices and faster sales than sellers who overprice the market. In a shifting market, you never want to get caught chasing the market down. I’m not convinced we’re in a shifting market. We had 5 closings last week and several more for the month. That’s the result of hard work in October and November. The sales we have in January will be a direct result of the hard work we’re putting in this month. December is a month where many Realtors take off and ride easy into the New Year. They tell sellers nobody is buying in December and we’ll go get them next year. The truth is sales are there, if you’re hungry and willing to work for them. 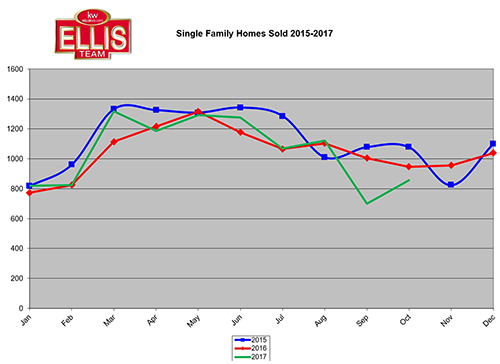 The Ellis Team is hungry, and we work hard all 12 months for our buyers and sellers. We’re getting Top Dollar for our sellers. When the market doesn’t respond, we’re honest with our sellers. Just because your home doesn’t sell in the first 30 days doesn’t mean you have to take an F in the class. In fact, if you’re time frame didn’t dictate a 30 day sale, there’s still time to get an A. If you absolutely must sell your home quickly, over-pricing it doesn’t make much sense, does it? We’ll be glad to sit down with you and discover your needs. Together we’ll come up with a marketing and pricing plan to get you on your way. Santa is bringing gifts, so you might as well get yours. The market is good! Call Sande or Brett Ellis at 239-489-4042 Ext 4 if you’d like to explore selling your home. If you’d like to shop around on the MLS, check out www.LeeCountyOnline.com for Free. It has all the listings and is updated instantly when new properties enter the market. You’ll beat out other buyers to hot new listings. It’s like having the teacher’s test ahead of the other students, so take advantage. Happy Holidays from the Ellis Team at Keller Williams Realty. Putting off that home purchase? Perhaps you’re saving up for the down payment, or you’re waiting on sellers to reduce prices? That might cost you in the long run. 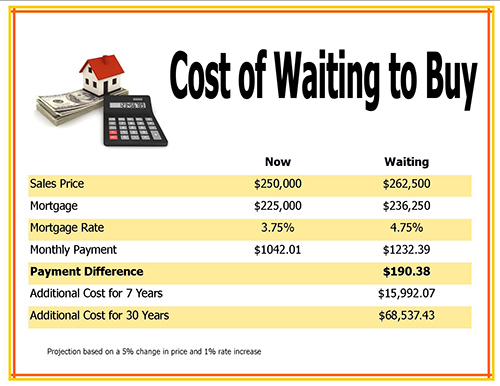 Let’s explore the cost of waiting to purchase SW Florida real estate. 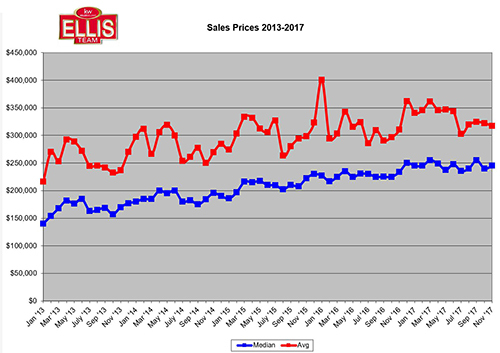 In October median prices were up 6.7% and average prices were up 8.6%. These numbers are indicative of how we’ve been running all year, so we’ll say they’re legit for conversation purposes. Let’s assume home prices increase 5% going forward. That’s reasonable compared to this past year. The Federal Reserve is expected to hike rates this week and the consensus is 3 times again next year. Right now, as of time of this article the Fed Funds rate is 2.1%. It’s expected to climb to 2.7% in the next year and 2.9% into 2020. That’s almost a 1% incline in rates. If rates go up 1% and home prices go up 5%, it will cost a buyer about $12,500 in price which translates to an increase of $190.38/Mo in payment. Over the life of the loan that’s an additional $68,537. When people see it broken out like that they realize the true cost of waiting. This doesn’t even factor in the equity gains over 15 or 30 years. If someone were to rent and never purchase, they would never end up with a paid off home for retirement. Buying real estate is the single best option for people to build wealth. Sure, perhaps you could have been lucky and bought Bitcoin 8 years ago. You’d be wealthy today. However, you could have lost everything, and you still could as the jury is still out on its long-term value. Tangible assets are a hedge against inflation. Therefore, people buy real estate, gold, silver, etc. in inflationary times. The difference is if the price of gold or silver goes down, you can’t live in it. Gold or silver can’t be rented out and you can’t draw income from them either. You can live in real estate whether it’s up, down, or sideways. You can usually rent it out too and have someone else pay your costs of ownership. At present we don’t know what’s in the final tax bill. We don’t know if it will even pass, although we believe something will. There are some provisions that may not be as friendly to real estate. Hopefully this will be offset by provisions that should jump-start the economy. Florida stands to gain versus other tax heavy states which could lead employers and people up North seeking more tax favorable states. We could envision a scenario where companies decide to relocate to tax friendly states like Florida, Texas, and other low tax states. This could offset possible mortgage interest deductions and deductions for state and local income taxes. Nothing we’ve seen in the bills so far would hurt Florida. Whatever they do to real estate, Florida will be less impacted than most. Florida stands to gain if other states are hit hard. The bottom line is we don’t see any benefit in waiting to buy. It will only get costlier both in terms of rate and prices. And if sellers are waiting to sell their properties up North, right now might be the time. Imagine an exodus out of high tax states. That’s not a fun time to sell when everybody else is selling, all the while buyers are high tailing it down to Florida. We’re already seeing net migrations out of NY, NJ, IL, and CA. This could heat up in a few months if tax policy plays out like they’re talking. Florida stands to gain, and you can too if you beat the rush. www.LeeCountyOnline.com has all the listings, and it’s updated instantly. Finding properties on the Internet that sold months ago or have incorrect pricing is frustrating. It’s difficult to beat out other buyers to hot new listings with bad information. 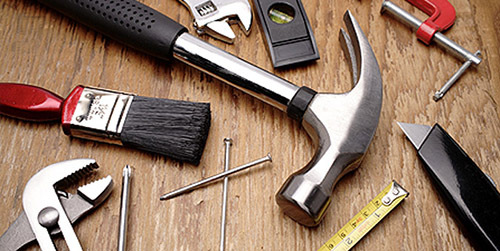 Our website fixes all that for you. When time and expertise advice matters, Always call the Ellis Team at Keller Williams, 239-489-44042, your one-stop shop for great real estate success. If you’re thinking of selling, ask for Sande or Brett Ext 4.